Casey Stein: [narrating] Reasons. We all got our reasons to do crazy and reckless things in life. Mostly they don't help you though. Not when you're left to pick up the pieces. But if the reason's love, maybe it's not so crazy, 'cause people believe in love. They know it keeps the world turning. And right now, that's the only thing keeping me alive. Q: What are the names of the vehicles used in high speed chase scenes.? 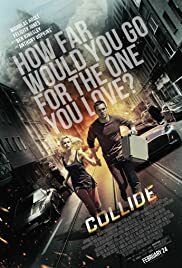 A few good stunt sequences, a lot of action, but little brains in this contrived action thriller about a guy, trying to get money for his girlfriend's kidney transplant, who tries to rip off a major drug dealer in Koln by hijacking a delivery truck filled with golf balls filled with cocaine. He gets caught by said drug dealer (played by Anthony Hopkins, in what is basically an extended cameo) , and escapes far too easily in a car filled with five million Euros in drug money hidden in the door panels, and leads them on a high speed chase on the Autobahn. 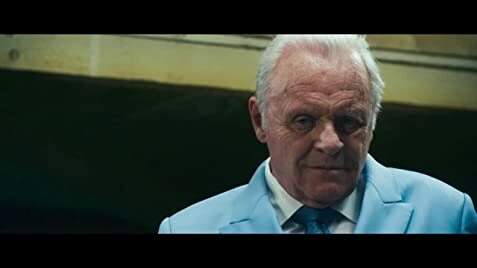 Anthony Hopkins is wearing a really silly looking, double-breasted, sky blue suit throughout, which made me cringe at the sight of it, and wonder if this is supposed to be a comedy. The second act car chase might be worth a look, if you're into such things, but this really is a braindead, mind-numbing affair.